In October-November 2017, wood or mountain bison, a subspecies that was considered extinct in Eurasia, will be released into the wild in the Republic of Sakha (Yakutia), the republic's website reports. 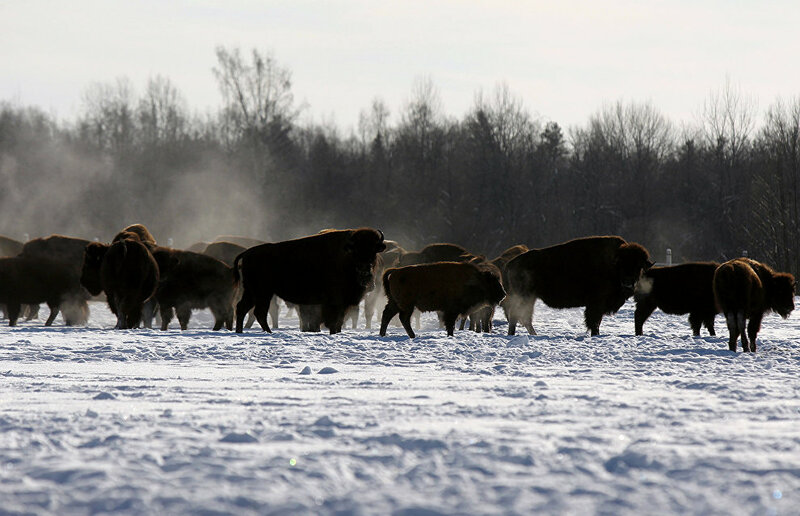 Thirty bison, including six males, are currently being kept at the Tympynai reserve. "Our choice of season wasn't accidental. The snow cover will make it easier to track the herd's movements so we can continue feeding the animals. 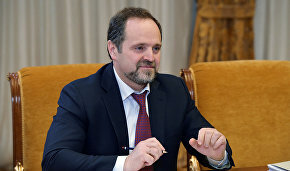 This will allow us to keep the bison within a certain area for a while, as at the initial stage it is vital to closely monitor them," said Andrei Popov, a member of the Directorate for Biological Resources and Specially Protected Natural Areas in the Sakha Republic Nature Protection Ministry. The acclimatization of wood bison in Yakutia began in 2006 as part of a joint project with Canada's Elk Island National Park. According to the Natural Protection Ministry of Yakutia, over 170 bison inhabit the Sakha Republic, of which 88 were born in Yakutia. They are kept in two reserves — Ust-Buotama (Khangalassky District) and Tympynai (Gorny District). Research indicates that the natural and climatic conditions of central Yakutia fully meet the species' environmental requirements. The lowlands, widespread in this part of the republic, provide a vast niche for bison micro-populations.